CJ WINDOW TINTING ATTENDS THE SUNSCAPE DEALER CONFERENCE!!! 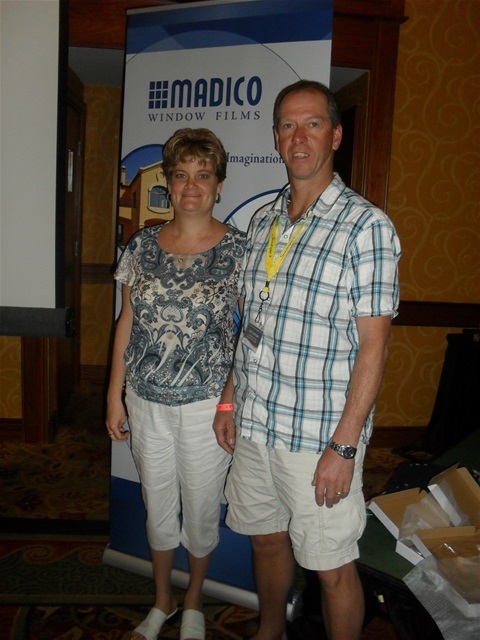 Carl and Jill of (CJ WINDOW TINTING) attended the Sunscape Dealer Conference February 20-22,2013 St. Pete Beach, Florida. 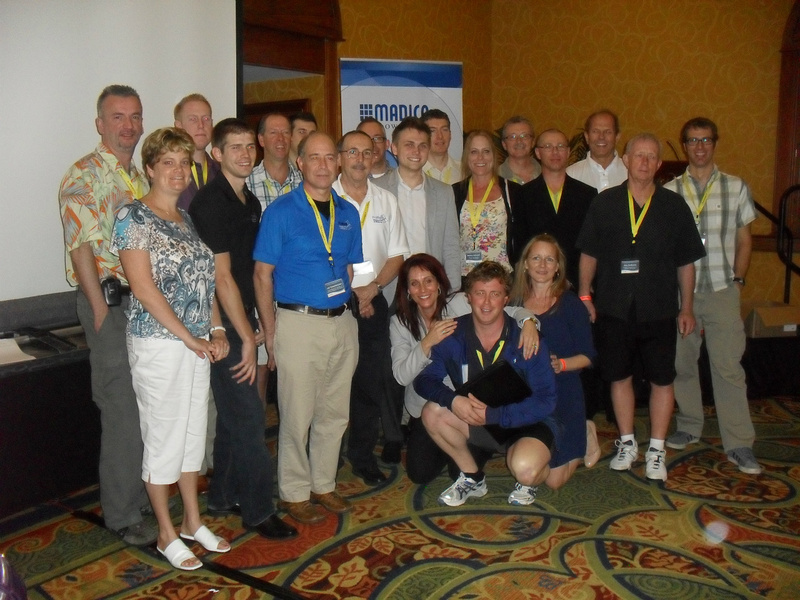 It was a 3 day conference,.it was our first conference in the 8 years we have been in business. We had the opportunity to meet other Sunscape dealers from Canada and the United States,and met the staff in all departments of Madico, marketing, production,Senior Project Manager,Vice president of Sales and Marketing.We were able to tour the plant where the film is produced and received the history of Madico. Basically an overview of the whole company from beginning to end. It was a great experience and we learned a lot that we will be able to incorporate with CJ Window Tinting. We will for sure attend another conference. It was worth the time. Our Canadian distributor is Window Film Systems located in London. What a great 3 days with our Canadian Partners!! 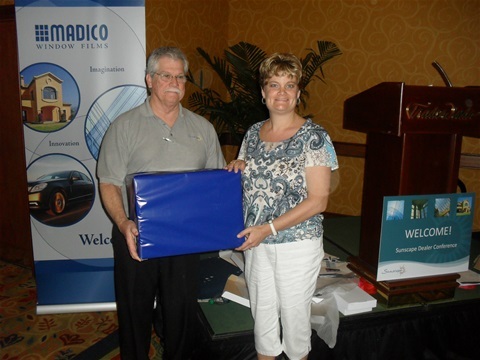 CJ Window Tinting is a member of the "International Window Film Association"
Jill Misselbrook (co-owner of CJ Window Tinting) receives from Mike Byrd (Senior Project Manager of Madico) a huge box of Marketing supplies that she won at the Sunscape Dealer Conference in St. Petes Beach,Florida February 20-22, 2013. The box was so big that " I had to have it shipped back to Canada" says Jill. The conference was awsome, very informative and very motivating. I can't wait til the next conference next year .